I am honestly suprised this game hasn’t become more popular. But I also bring that conclusion to the state of mind of most gamers and that is this; accessibility. Gaming has reached the pinnacle that we had all hoped it would in our youth. But not for the reasons we had wished. Instead of getting more people for competition and relation it has come to elitism. And not in a good way. If doesn’t have a huge marketing campaign in every gaming store or website we see and doesn’t have reviews or people talking us into how to play before we buy it then why bother? The Spoils I feel suffers from that. I’ve been into numerous game stores here in California asking about it and no one knows a thing. But bet your glass counters there are 20 kids with fresh carded, copy and paste decks they bought pre-constructed from some website that copied last year’s grand prix winners deck willing to play you for ante! The Spoils I’ve experienced cuts that out. With the same card limits, but a larger deck requirment your synergy doesn’t mean squat. And the way the the turn sequence is played the game comes down now to strategy of the hands you’re dealt as opposed to what synergy you’ve read about online. Sure there is probably something out there and I never understood the fascination with it. But it’s less likely to work. The fact your opponent has to be prepared during any point that you can attack, and you that he can respond, makes you seriously debate every potential play you make. The game is built around more subtle playing of skills than synergy and exploitation, that it makes the game a bit more focused. There isn’t much that can be said about this game that hasn’t already been said. The biggest thing I like about this game is the accessability. It’s really easy for people to want to play due to the art alone then once you start they realize there is a little bit of strategy. Yet it’s an easy going game. Essentially you leap frog down the board yet you don’t want to give to much space for players to take multiple moves in a single turn nor do you Want them on certain spaces blocking you to achieve your goals. Each space gives you cards with the exception of temple spaces. Each card gives VP wroth potential of getting end game bonuses for most of X (coins spent at inns, items etc). My only gripe is the VP track. So many games use the linear track but Tokaido uses a zigzag track that is slightly confusing at first. Overall it’s just a light and fun game when you want to sit down and not think much about rules or high strategy. I would recommend this for families or an end of the night game when you want to play something but as mentioned not fuss over rules. I’ve had this game on my shelf for awhile yet it rarely gets played. I really love this game too. It’s simple yet engaging and easy to get people going in the deck building genre. Just like all deck building games everyone starts with the same essential cards. Yet instead of pitting against each other you are against the creatures summoned from the portal in a common play area. Your cards are will either have runes to acquire heros or other cards and/or attack that defeats creatures summoned and give you victory points. Depending upon the number of players there are only a certain amount of victory points allowed in a game and once gone this triggers the end game. Cards will Also have a VP value and are tallied at the end. Person with the most VP wins. As stated it’s been on the shelf awhile, yet it doesn’t see much play. This is a great introduction to deck building and great for a casual easy going experience. But ascension doesn’t quite hold up for high play ability or a lot of replay value. There isn’t much varity in the cards and after a couple games it just gets monotonous to play. I’ve looked into “expansions” yet they seem to be the same cards or 2 player expansions that have the same cards. You should only buy this game if you yourself are curious about deck building games or want to have it around to introduce others to it. I’ve had this game for years. It is one of the few games on my shelf that survives the test of time due to it’s simplicity. It is easy, roll pigs and tally score. Different positions give different point values and the player can push for more points or stop rolling and… pass the pigs. Of course there is chance to Lose points. The pigs have a side with a dot and one without. If you roll a dot and side without you lose your points for the turn, this is called a pig out. If the pigs land and touch, this is called an oinker and you lose ALL points accumulated thus far. There is also rules for optional play that can slightly change the way it’s played, but not drastically. Overall it’s not a very deep game, it is just a dice game with a gimmick that works well. Yet this game can make for a fun filler (standard play time is about 20-30 minutes) and a good way to get people going. Don’t be fooled by the title, I really love this game. Especially since it was my first contribution to a kickstarter campaign. But after a dozen or so games with a friend of mine that is great at exploitation we found that the two factions aren’t very balanced. Each turn you essentially pit cards against your opponent. You pick 1-3 cards for a combined total of a chosen action (sailing, guns, boarding) which will have different outcomes to the winner and loser (loser could have to discard on top of discarding cards used, winner can refresh cards from discard or both actions can take place). The Pendragon deck has its strength in guns whereas the pirates sailing (guns make loser discard, sailing winner refreshes from discard), seems balanced. But not so. After quite a few games (around 15) pendragon has the upper hand out of the two. Just use 3 cards every turn with guns and you win 9 out of 10 times. Even if you use 3 sailing with 3 cards the pendragons avg gun numbers are well above pirates sailing. We even switched decks, made changes with them and the outcome was always the same. The only game won with the pirates was a lucky hand that made the pendragons player limit hand size to 2 and even then the pirates only won by 2 cards. I attempted to contact the creator and they did get back to me but was along the lines of “we play tested it and we never had this problem. But we’ll look into it” aaaaand never heard from them again. So in closing, I really love this game. Just a shame that the one exploit kills the strategy aspect of the game. I love the aspect of this game, but to me feels like they tried to add to much to a simple game. You essentially get 3 rolls a turn to determine damage, healing, attack and energy (currency). When you are not in the city and attack you damage the person inside the city, they then make a decision to stay or get out. If they leave then you take their place where as if they stay they get bonus victory points on their turn. The game can be over rather quickly so the level up aspect of the game seems to keep people playing it safe for no reason just to get powers and abilities they will never use. I’ve literally seen multiple people avoid giving damage for multiple turns to buy cars they never use… IN MULTIPLE GAMES. I’ve even seen this game played at some local game nights and have seen the same useless strategy used over and over by players outside my regular group. The quality of components and theme are excellent yet this game bores the heck out of me personally. I have literally fallen asleep at the table trying to play this game multiple times. I would personally recommend getting bang! The dice game over this, it’s cheaper, faster to play and a lot less gimmicky when it comes to useless rules . I’m aware of the popularity but this is one trian I can’t get on. I bought the original and often take it with me in case a gaming instance arises. The only gripe with original game is that the cup doesn’t last long. I ended up buying the upgraded cup with score card. Not mentioned here is that there are 2 expansions for it. Which I will also go over. The game itself is a simple push your luck game. Each die has brains (points), feet (reroll) and shotgun blasts (turn end). The goal is to be the first to 13 brains. You roll the dice 3 at a time. You set brains aside to score but once you acquire 3 blasts your turn ends and you loss your points. The different colors represent degree of difficulty. Green being easiest to score, yellow medium and red hard. If you and your group are into story telling you can tell it as you are a zombie. Green dice are your portly survives, yellow avg survivors and red being like jokes/soldiers/etc. The school bus expansion adds a huge 12 sided die that you can roll optionally, it brings greater risks for greater rewards. And the movie pack brings 3 dice that can replace 2 yellow and 1 green to bring another aspect. A Santa die that can give you a helmet (instead of 3 blasts it takes 4 to end your turn, Energy drink (feet are turned to brains) and multi brain side. The other two dice are the hunk and the hottie. Each have a multi brain side AND multi blast side. All 3 dice together have the ability to save each other, so if 1 or more are in your brain pile and another rules a shotgun blast, the brains go back to the cup. Brutal. Great to play in social settings in place of games like farkle/pass the pigs/liars dice/etc. Easy rules, engaging without getting into the story aspect. That is just a taste of 2 player deathmatch. I have played a total of 3 games (first being the noob friendly version of high form) and so far there hasn’t been a dull moment. I enjoy both game modes and seriously look forward to melee and teams (I’ve only played with one other person thus far). I really enjoy the thinking aspect of Tash-Kalar and the theme is a welcomed break from other games that just seem to one up each other. Not much more I can say that wasn’t stated in this review already other than they really thought it out well and you can see and fell the love poured into this game. Great buy if you enjoy thinking games with no solid strategy. I found this gem at a local game store here in Sacramento today. I picked it up due to seeing this review. I must say I am not disappoint. It’s a euro style resource management game where you need to balance resourced in order not to loss them. While reading through the general rules and knowing that this game is 1-4 players I thought to myself “this game will be way to easy with 2 players or solo”. I then proceeded to read the solo rules. Highest score is 17 so far! The game is well thought out on balance of resources. And because it’s played in 4 phases you can’t just stack resources and build like crazy. I’ve recently played a few more games (2, 3 and 4 players) and must say it’s an instant favorite amongst my friends and myself. The rules are real easy to learn yet there is slight depth in the game play. Along with some slight strategy and great balance this game is great regardless if you play solo or with 2-4 players. Extremely fun and the quality of product is great in my opinion. I started playing magic WAY back in the day towards the end of beta/ beginning of revised up through ice age I believe it was (stopped due to moving and lack of participants). I always loved it as a kid and 6 years ago (give or take) decided to try and get back into it. So I got a 10th edition deck and some shadowmoor boosters and started collecting and building decks. Sweet now there is FNM and tournaments! I was excited. I spent somewhere around $300 to get what I thought was a decent deck and decided to play in the local gamestore tournaments. I was extremely disappointed. The rules have become so over complicated, And the game itself is so comercialized that I would have been better off just buying a pre made deck like everyone else (black and blue faries at this time). Balance seemed to have been lost for sake of shoving newer cards out with more complicated rules. I was bummed but decided I should try one last time to rekindle that feeling this game used to give me. So the next expansion that came out I decided to try a draft tournament. I ended up taking second and for it winning a “rare foil desert” with fnm printed in the background… hardly worth the $20 buy in. So after that my cards got buried amongst the rest of my junk and have collected nothing but dust since. Newer players may enjoy picking it up, but if anyone one is like me , the game has not stood the test of time well. It’s been hacked into a former shadow of itself to lure a newer generation. 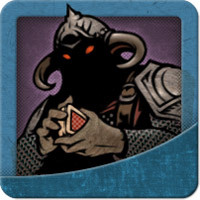 I would maybe try Shadow Era instead (there is a free app) and give it a wirl. Picked this game up as an impulse buy. And I don’t regret it whatsoever. The Mechanics are very simple with great balance. A player may only play one 1 event card per round (from beginning of their turn till beginning in there next turn). So this prevents a player from dominating by saving up cards. My buddy and I played a game and I pretty much had it in the bag, and he ended up winning. So the tides can shift very quickly. Gameplay is pretty straightforward. Your turn draw and place a map tile, battle a zombie (if it’s moved on your space by another player), draw back up to 3 action cards, move by rolling a die then move zombies. A rule that is easily over looked (I know from talking with people at my local game store) is that zombies spawn on all tiles. On non-named tiles they spawn for each road access point. So for a cross road tile 4 zombies spawn. Play continues till a player collects 25 zombies by killing them or makes it to the helipad and clears it of zombies. There are plenty of cards to throw a wrench in the gears of other players strategies. I bought this game and was immediately in love with it and my friends couldn’t get enough of it. The game has an interesting mechanic to build your deck but a difficulty added to keep it somewhat balanced by making you discard. Though my only real problem with overall balance is a synergy with draw and flee that can essentially make it one sided very quickly. The rules can be somewhat frustrating at first, but once learned it flows well. You can do a random draft for your loot piles or go by predetermined setup. The mechanic of killing zombies going to your pile then not being able to discard them from your hand and fleeing which forces you to discard whether successful or not really adds a fun stratagy. Also should be noted that there is 1 major expansion ‘In cahoots’ that lets you play with 6 players and adds fire weapons. And a couple mini expansions. “We’ve got the bomb” is a 6 card expansion that adds a bit of dread by making you lose swag in order to keep from losing the game. Regardles of expansions, always utilize curse cards. They add more player vs player dynamic at times. You can literally lock people out with (frost howler I believe) from really being able to play. A successful attack makes victim put all white quiddity dice back in bag. If two people get theirs out before you, you might as well stop playing till you are finished because you won’t get anything else out. I do still have my cards. And do get friends on occasion that want to play. A really fun variant we’ve tried is to have your opponent and yourself build each other the worst posdible deck and then see who wins. It’s a blast. Seriously. Spend your money elsewhere. But if you are really inclined, just do what everyone else does and read what works in whatever tournament you wish to play and then buy that deck. I have had a hard time getting people interested in this game. Their biggest hurdle is understanding the chain. If you endure such trouble tell people to remember a triangle starting at previous small moons pointing towards new card big moon. Makes it a bit easier to understand. This should without saying; I’ve played with some people recently that kept losing prior to me joining in. The only thing I brought was making sure everyone knew their roles. 1.) Play with cards on the table: it’s co-op, no reason to hide cards. 2.) Make sure everyone is aware of closing conditions and are prepared to temp close locations using equipment and character strengths. Healer doesn’t need to follow people but also doesn’t need to be left to close with a dex check. 3.) Keep an eye on that clock!!!! Assess how much time is left and how many turns out could take to win. Take a break and strategize accordingly. My friends and I also play when our base swag is lost to attrition it is removed from game, this was to ensure no one could load up on cheap flee/sandwiches. If you find yourself seeing the synergy combo mentioned in my review more often, try the preset swag sets or just make your own. The funnest game I’ve played incorporated lots of fight with coffin nails. Adds a degree of difficulty by being able to manage zombies in hand, then it’s more about who’s strategy holds up over flee luck. A 2 player game I just discovered not listed on this site is Tides of Madness. It uses the same drafting princple as 7 Wonders. I personally play games for a better social dynamic. Sometimes sitting around shooting the breeze gets old quick. So introducing a game brings an interesting variable into a social setting whether it be through coop or pure unadulterated f***u buddy! Games… I’m looking at you munchkin. A couple buddies are coming over and I REALLY want to introduce them to Runewars. But I did just purchase Glass Road and that may be included. Quarriors and Smash Up may make it into the rotation at some point. My recent purchases are going to be my games for the holidays. Don’t pre drink and use a light beer. Great Munchkin-esqu drinking game. 2 buddies and myself cleared a 36 pack in 2 games over about 3 hours. We were also learning as we played. This hasn’t been played yet. But the game play seems solid and most of all fun! But for the adults on late nights we’ve always enjoyed cards against humanity for some good laughs. I have a relentless urge to buy games on a whim. My tastes change but am really into anything. My gaming group has started dwindling so I'm currently working on introducing new people into gaming.